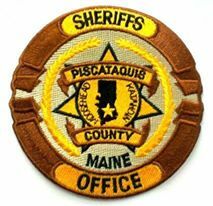 This center provides dispatch services for all fire, police, and ambulance entities within Piscataquis County. The Communications Center is located within the secure perimeter of the jail at 52 Court Street. Working in a 911 center requires many hours of specialized training: emergency medical dispatch, certified terminal operator, E911 vesta/pallas training, basic communications training, and becoming licensed through Maine Emergency Medical Services plus six weeks of Corrections Training and continual in-service training and certifications.